Is my mustache making you thirsty? Well it’s Billy Dee Williams of course! Fresh off a chilled bottle of Colt 45. That’s right. Stick one in the fridge along with your favorite colored lightsabar because Billy Dee’s tricks work every time. Nothing makes me snuggle up on a shag rug more than the sweet sounds of Barry White and the cold taste of Colt 45. That’s the only malt liquor for me. 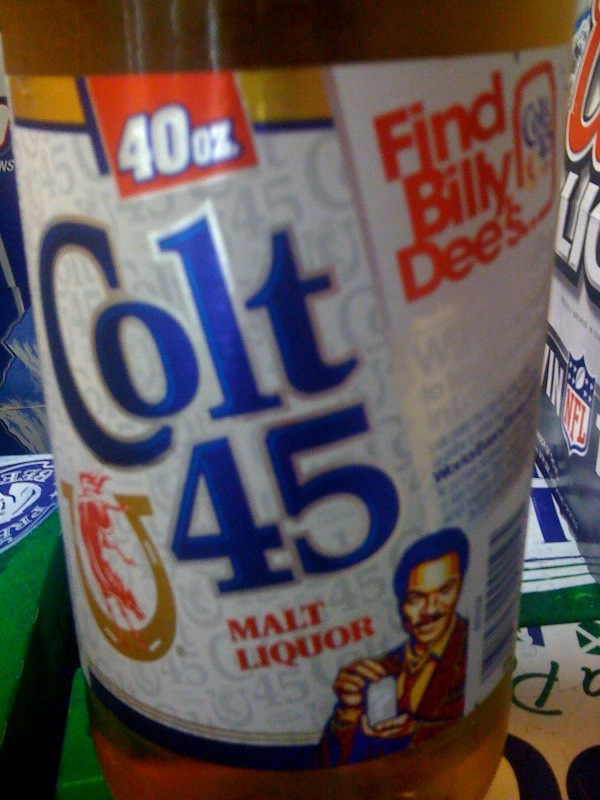 Recently, Colt 45 ran a contest where you could enter to win a trip to meet Billy Dee. The Contest I never won. This entry was posted in Uncategorized and tagged Billy Dee Williams, Colt 45, Princess Lea, Return of the Jedi, Weekly Handsome Mustache. Bookmark the permalink.